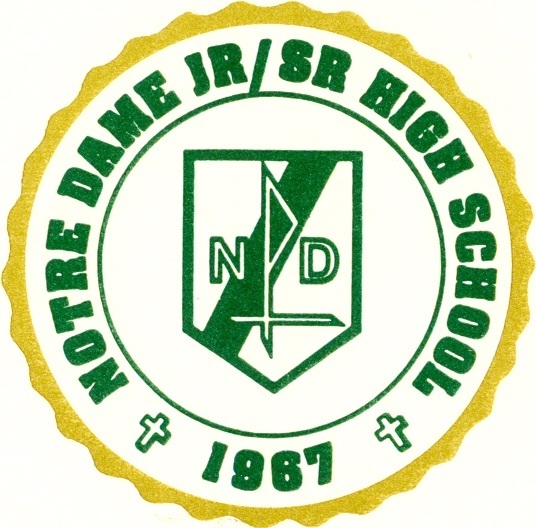 Notre Dame Jr./Sr. High School (CEEB Code: 391148) is a small, college preparatory, Catholic school located in the Diocese of Scranton in the heart of the Pocono Mountains. The student population totals approximately 270 students enrolled in grades 7 through 12. Notre Dame is accredited by the Commonwealth of Pennsylvania and the Middle States Association of College and Secondary Schools. The school year is divided into two (2) semesters. A semester is 20 weeks in length with 10 week reporting (marking) periods. The college preparatory curriculum offers electives in mathematics, science, business and art. An accelerated mathematics sequence is available beginning in Grade 7. Qualified students are eligible to enroll in Latin beginning in Grade 9. Honors English and Honors Chemistry are offered in Grade 11, and AP English and AP Biology in Grade 12. Students who have exhausted elective choices at Notre Dame may take courses at nearby East Stroudsburg University and Northampton County Area Community College. Should you have any questions or concerns please feel free to call Mr. Musyt, the Guidance Counselor, or Mrs. Lasher, the Guidance Secretary at 570-424-9118.